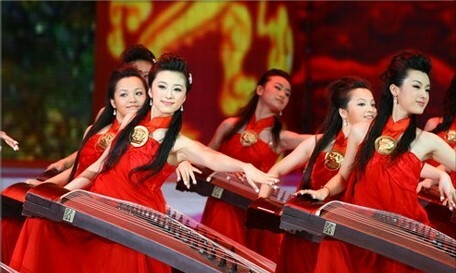 The temple fair (miào huì 庙会) is a kind of social activity in China. Legend has it that it originated in ancient times when people offered sacrifices to the village god, which later gradually evolved into a marketplace for people to exchange products and a place for cultural performance. Temple fair in old China had a unique status in ordinary people’s life. It is the time to worship gods, pray for the blessing. It is also a great time to have fun. 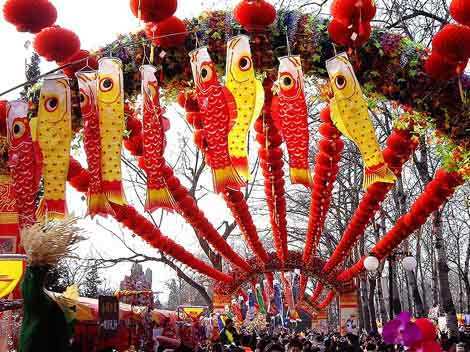 All the traditional shows went on at the temple fairs, talk shows (xiàng sheng 相声), banner shows (wǔ qí 舞旗), kongfu shows (wǔ shù 武术), lion shows (wǔ shī 舞狮), etc. It became a paradise for the kids. Fortunately this century old tradition is still preserved today. 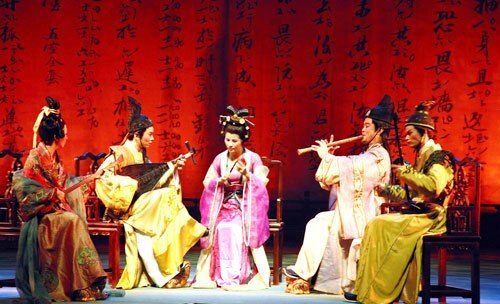 Quyi (qǔ yì 曲艺) refers to folk vocal art forms (mín jiān kǒu tóu yìshù 民间口头艺术) such as ballad singing (mín gē 民歌), story-telling (píng shū 评书), comic dialogue (xiǎo pǐn 小品), clapper talk (kuài bǎn 快板) and crosstalk (xiàng sheng 相声). Chinese cloth shoes (zhōng guó bù xié 中国布鞋) have a history of more than three thousand years. In Houma Shi (hóu mǎ shì 侯马市), Shanxi Province (shān xī shěng 山西省), there discovered the unearthed warrior in West Zhou Dynasty (xī zhōu 西周) wore the cloth shoes, which is the earliest handicraft cloth shoes. 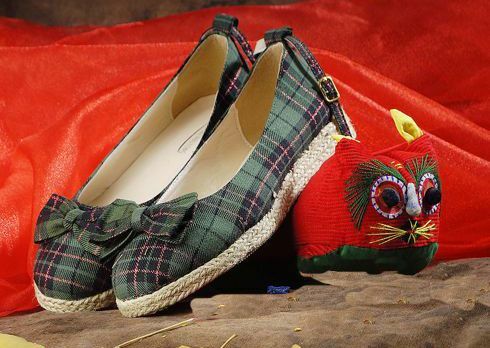 The cloth shoes were mainly handmade before the People's Republic of China was proclaimed, such as embroidery shoes. 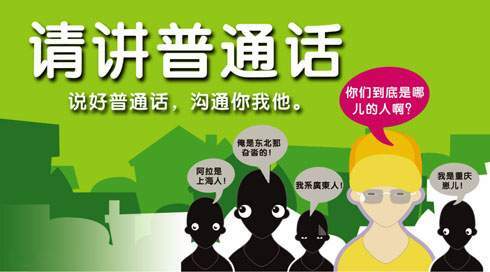 Chinese people are very fond of them for they are handmade, soft, and comfortable and ventilate. After 1949, the Chinese cloth shoes reached its peak period. There were many cloth shoes factories in our country which produced lots of cloth shoes. 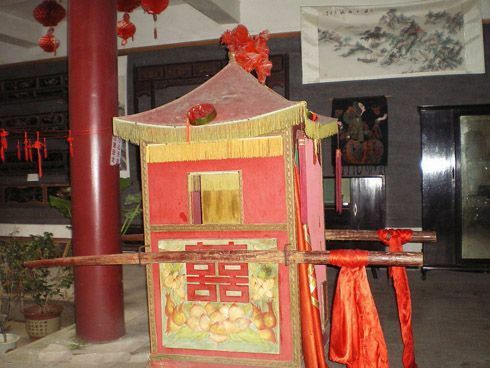 The sedan Chair (jiào zǐ 轿子) can be regarded as a special transportation vehicle in ancient China. It is lifted with shoulders and hands. Actually, it is a removable bed, desk chair or chaise lounge which is fixed on two poles with or without a tent.